At the age of thirty-nine, Sarah Kowalski heard her biological clock ticking, loudly. A single woman harboring a deep ambivalence about motherhood, Kowalski needed to decide once and for all: Did she want a baby or not? More importantly, with no partner on the horizon, did she want to have a baby alone? Once she revised her idea of motherhood—from an experience she would share with a partner to a journey she would embark upon alone—the answer came up a resounding Yes. After exploring her options, Kowalski chose to conceive using a sperm donor, but her plan stopped short when a doctor declared her infertile. How far would she go to make motherhood a reality? Kowalski catapulted herself into a diligent regimen of herbs, Qigong, meditation, acupuncture, and more, in a quest to improve her chances of conception. Along the way, she delved deep into spiritual healing practices, facing down demons of self-doubt and self-hatred, ultimately discovering an unconventional path to parenthood. In the end, to become a mother, Kowalski did everything she said she would never do. And she wouldn't change a thing. A story of personal triumph and unconditional love, Motherhood Reimagined reveals what happens when we release what's expected and embrace what's possible. "As a fellow single mother by choice, I really enjoyed this memoir. For so many women, we think the road to motherhood will be easy . . . This is an honest book about the path you never think you'll take, but it's the one that's just right." 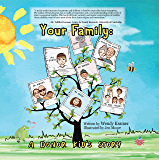 --BookRiot, "Books About Parenting That Tell It Like It Is"
Very inspiring. This book makes it seem possible that I could have a child on my own. It seems like such a daunting thing to undertake by oneself. But hearing how Sarah did it makes me feel like I have more options and I'm not alone. Thank you Sarah. As a psychologist, I'll recommend this to my clients as well. This book was such a heartwarming story of longing and desire to become a mother. I felt immediately drawn to it as the author started out talking about her want to be the neighborhood babysitter as a kid. Her maternal instinct from a young age resinated with me, and as the book continued, her struggle for a child of her own, while sometimes sad to read, left me with a feeling of hope. Not everyone has the same struggle, but this is an important read for anyone who is considering motherhood. We all have so many choices and decisions to make in the process. Decisions that can ultimately form a new little beings world. 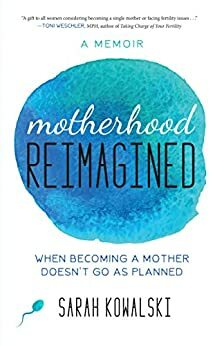 Reading the authors story left me feeling inspired and ready to look at the hard facts of my life and my own journey in the decision of motherhood. Wonderfully written. Reminded me of the books Eat, Love, Pray by Elizabeth Gilbert and Wild by Cheryl Strayed. This book is wonderfully inspiring in authentically retelling the journey of a single mother by choice. I saw myself in it over and over again. Thank you, Sarah! Sarah writes a story that any woman who has struggled with infertility can relate to and learn from. This book will help you to create your own options for motherhood and life in general. I really enjoyed reading this book. It was funny, and very informative, and not just about how to become a single mom but also about self discovery, qigong, body awareness, and so much more.